The trend of developing residential properties priced between RM200,000 and RM400,000 is picking up in Penang, a state where property prices are second highest in the country after Kuala Lumpur. Tambun Indah Land Bhd, PLB Engineering Bhd, Ideal Property Development Sdn Bhd, and Belleview Group are some of the Penang-based developers with plans to launch moderately priced projects on the island. With the exception of Belleview, Tambun Indah, PLB, and Ideal Property are taking advantage of the plot ratio guidelines introduced in 2010 which allowed developers to build 87 units per acre, with a total built-up area of 122,000 sq ft per acre and priced at between RM200,000 and RM300,000. Under the revised guidelines, developers have to allocate 5% of the total units in a development scheme to be priced at RM200,000, 10% to be priced at RM300,000, and 5% not exceeding RM500,000. Tambun Indah's Straits Garden in Jelutong, PLB's Sungai Nibong Residences and Ideal Property's Valencia Park are the new projects using the revised guidelines. The layout plans of the projects have been approved and the company is now waiting for the go-ahead for the building-plans. Previously, the plot ratio guideline for high-rise was 60 units per acre or 42,000 sq ft per acre or 30 units of 1,400 sq ft apartments. The revised plot ratio guidelines are applicable in areas where it is allowed to develop 30 units per acre and above and in areas designated as commercial/tourism areas under MPPP's structural planning and development control plan. They are not applicable for prime residential areas such as Jalan Tunku Abdul Rahman (popularly known as Ayer Rajah Road), Jesselton area, existing established housing zones and general housing areas, George Town Heritage Site (which includes the buffer zone), certain areas in Tanjung Bungah and Tanjung Tokong. Real Estate and Housing Developers' Association (REHDA, Penang) chairman Datuk Jerry Chan said the new plot ratio guidelines for the island was a win-win situation for both the developers and the state government. “The guidelines make the developers supply affordably priced properties and in return the developers get to better utilise the land for development,” Chan said. Tambun Indah is proposing to develop a RM180mil high-rise residential project called Straits Garden in Jelutong on a 1.69ha site, the north-east district of the island, with 15% of the total units priced between RM200,000 and RM300,000. Tambun Indah managing director Teh Kiak Seng said the project's layout plan had been approved and was now waiting for the building-plan approval from the relevant authorities. “The project located in the heart of the island and would feature modern apartments, office suites and shop lots to meet the demand for commercial and lifestyle properties in the central business district. “We anticipate to commence development in the fourth quarter of the year. Targeted completion is by the fourth quarter of 2014,” he added. In Sungai Nibong, which is close to the Penang International Airport, PLB plans to launch the Sungai Nibong Residences, comprising 98 units of medium-cost apartments on an over 0.4ha site. 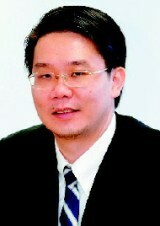 Ong says the Sungai Nibong Residences is expected to be launched in Q3. PLB executive chairman Datuk Ong Choo Hoon said the project has a gross development value (GDV) of RM70mil and was expected to be launched in the third quarter this year. Some 15% of the total units would be priced between RM200,000 and RM300,000 in accordance with the conditions of the revised plot ratio guidelines. The lay-out plan of the project had been approved and is now waiting approval for it's building plan. 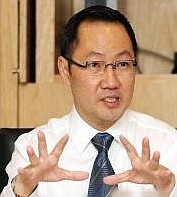 Ooi says Valencia Park, comprising apartments, has GDV of RM330mil. Ideal Property also plans to launch 788 apartment units called Valencia Park on a 9.1-acre site in Relau, south-west district of the island in September. Ideal Property managing director Datuk Alex Ooi said the project, which had a GDV of RM330mil, comprised apartments with built-up areas of 1,000 sq ft and 1,200 sq ft. In the past two years, Ideal Property had developed and sold over 500 units of apartments priced between RM300,000 and RM400,000 in the south-west district. 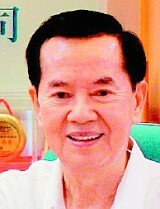 Ho says the RM100mil Autumn Tower project does not come under the new guidelines. Belleview's RM100mil Autumn Tower project, comprising 220 condominiums at All Seasons Park in Bandar Baru Air Itam, does not come under the new plot ratio guidelines. “The project is scheduled for launch in May 2012.The pricing for the units ranges between RM350,000 and RM400,000”, said Belleview managing director Datuk Sonny Ho. Meanwhile Raine & Horne Malaysia director Michael Geh said the sub-sale transactions of high-rise properties priced between RM300,000 and RM400,000 were very active in the south-west district of the island in Relau, Bukit Jambul, Bayan Baru, Bayan Lepas, and Sungai Ara. Geh says the demand for houses comes from newly-weds, families and retired couples. “Properties in these locations have been steadily rising at about 10% per annum,” Geh said, adding that there was strong take up for newly-launched properties in the first two months of 2012. “We observed that the demand came from newly-weds, families that want to upgrade their lifestyle, and retired couples looking for smaller high-rise properties in prime locations,” he said. In Seberang Prai, Asas Dunia Bhd is undertaking some 1,357 units of landed properties this year with a GDV of RM226.7mil in Central and South Seberang Prai. Group managing director Chan said the price ranged between RM120,000 and RM580,000, depending on the type of property and the location. The properties comprised largely single-storey terraced, single-storey semi-detached, and single-storey bungalow houses. Over the past two years, the prices of residential properties have increased from 10% to 15% per annum on the island, making properties in the RM200,000 to RM400,000 price range increasingly rare. Prime Minister Datuk Seri Najib Tun Razak had last July launched the first phase of 1Malaysia Peoples' Housing (PR1MA) programme, under which residential properties priced between RM150,000 and RM300,000 would be developed. PR1MA is specifically for first time house buyers and moderate-income Malaysians earning not more than RM6,000 monthly regardless whether they work with the government, the private sector, or self-employed. Some 42,000 houses under PR1MA have been identified for 20 sites in the Klang Valley, Rawang and Seremban, and companies like Sime Darby Bhd, SP Setia Bhd and Putrajaya Corp have been invited to participate. In the last budget announcement, the federal government also raised the ceiling price for first home scheme buyers to RM400,000 from RM220,000 with 100% loan financing and stamp duty exemption to promote home ownership among the middle-income groups. As Sime Darby owns a large bulk of land bank in Penang via Eastern & Oriental Bhd, the state could be a site for moderately priced housing projects under PR1MA. Eastern & Oriental Bhd is reclaiming 740 acres for the second phase of the Seri Tanjung Pinang project in Tanjung Tokong to develop two islands for mixed development projects, which will have a GDV of RM12bil.